Football is a sport that connects people around the world. 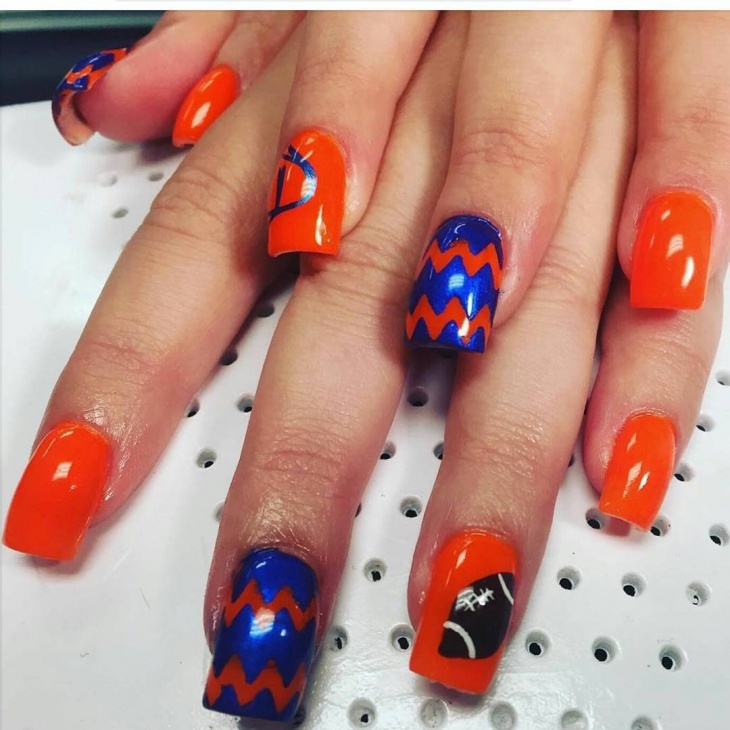 Both men and women celebrate this sport and what better way to show love for your favorite team than with a football nail art. 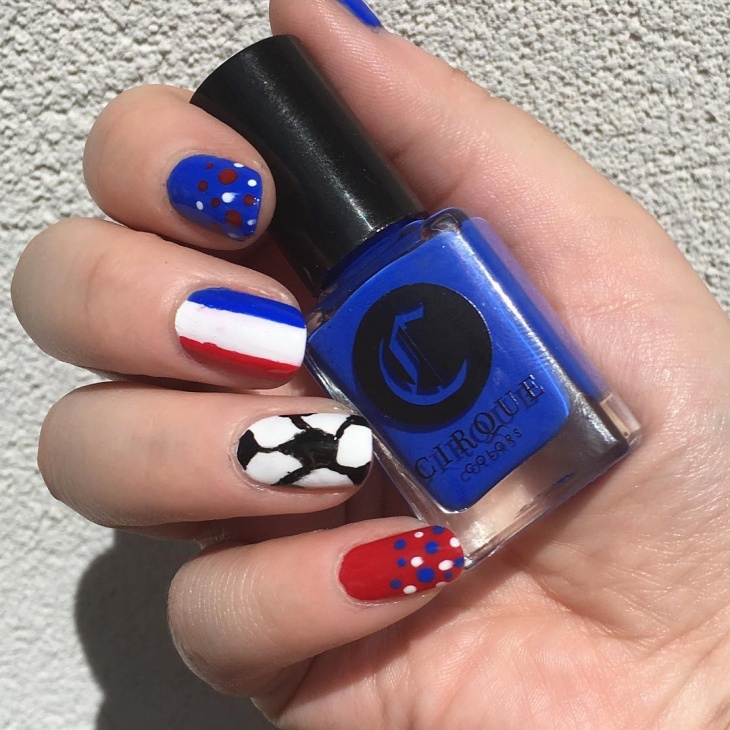 When you go to watch your team play, apart from wearing their jersey and painting your face, you can paint your nails using your team’s logo. 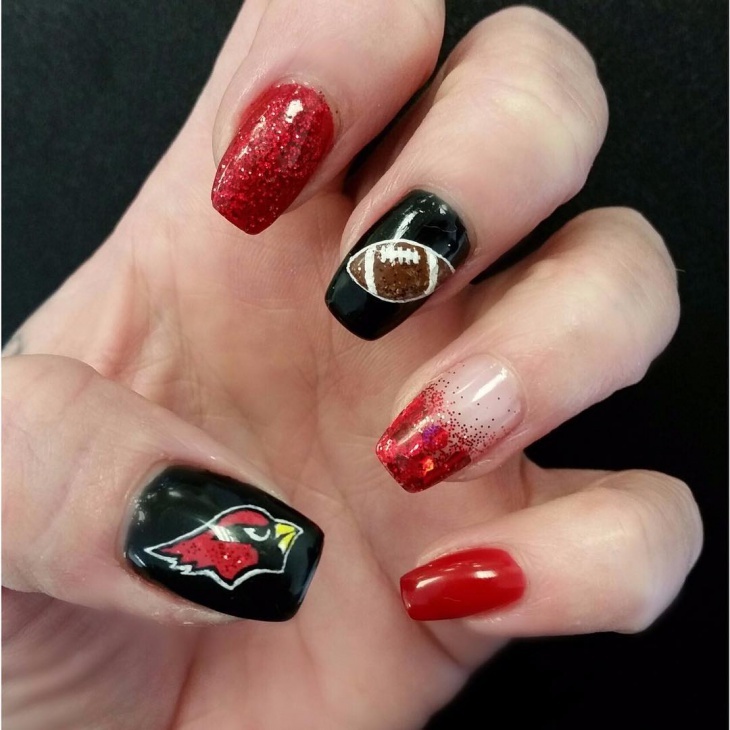 Whether on your fingers or toes, these acrylic nail designs will help show love for your favorite football team. 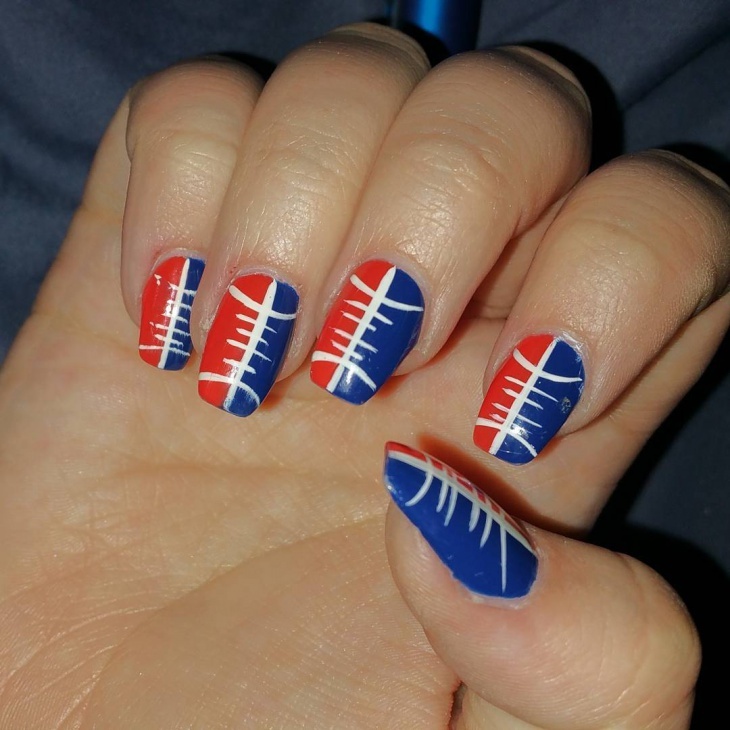 Ladies, if you love superball then this patriot nail design is for you. 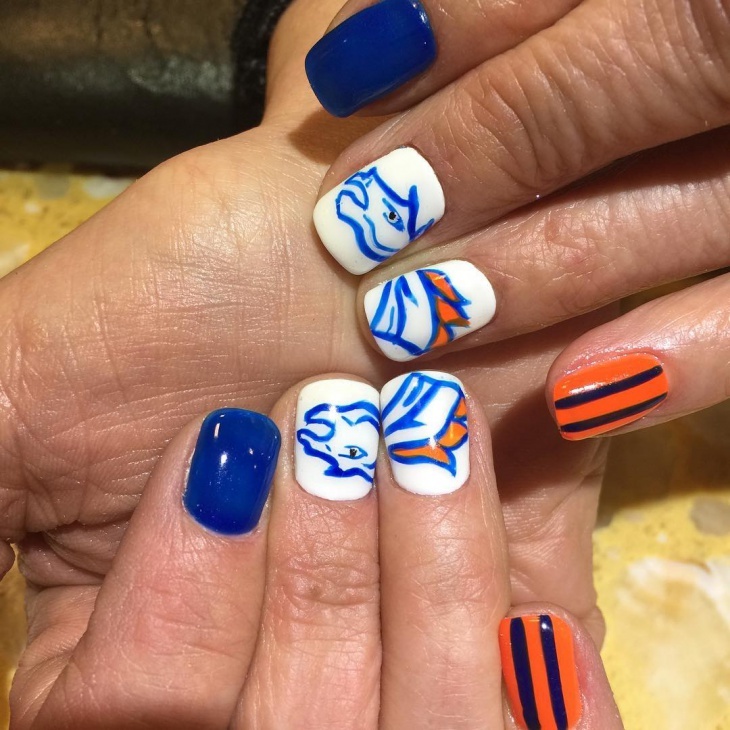 The blue and orange nail polish will help show your love for this game while the white vertical and horizontal lines show both creativity and support for football. 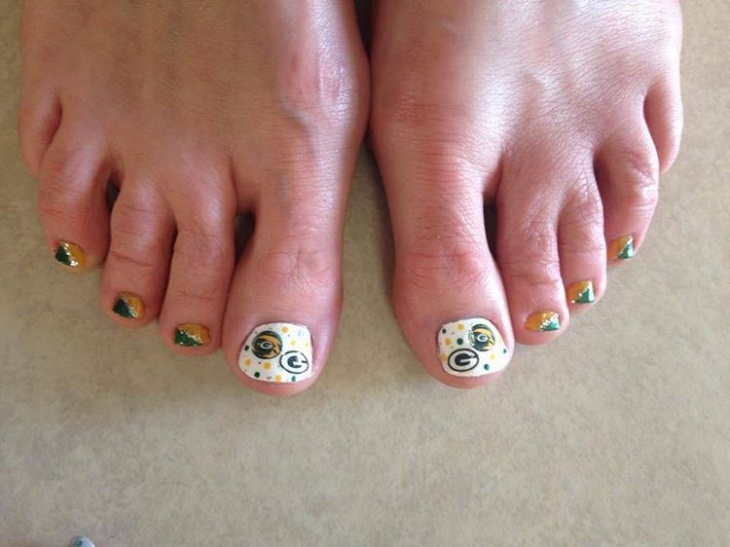 Girls who love football can get a football toe nail art to show their love for this sport. The trick to showing off this design is to wear open shoes such as peep-toe flats or even heels or sandals. 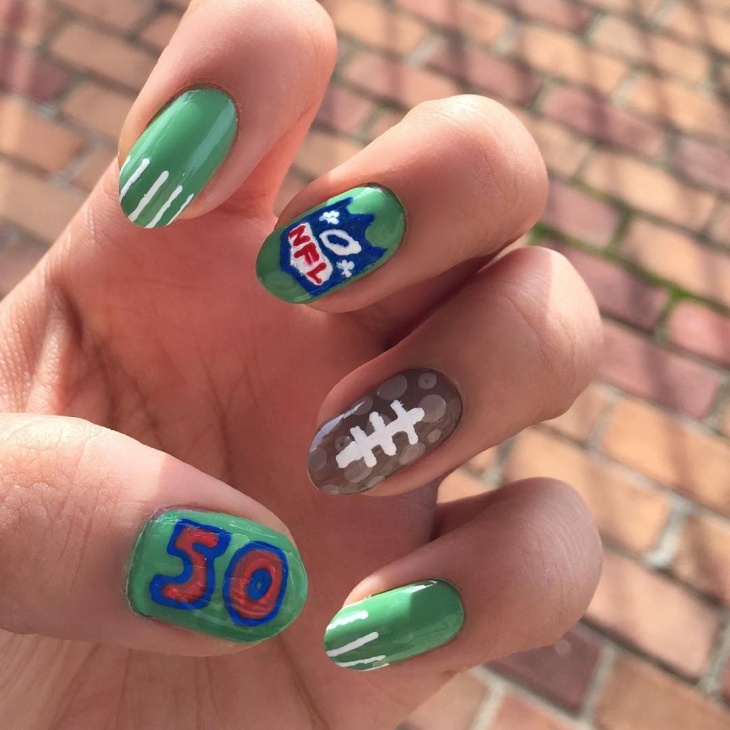 If you’re going to the superball and you have your outfit ready, then you need football nails to match your look. 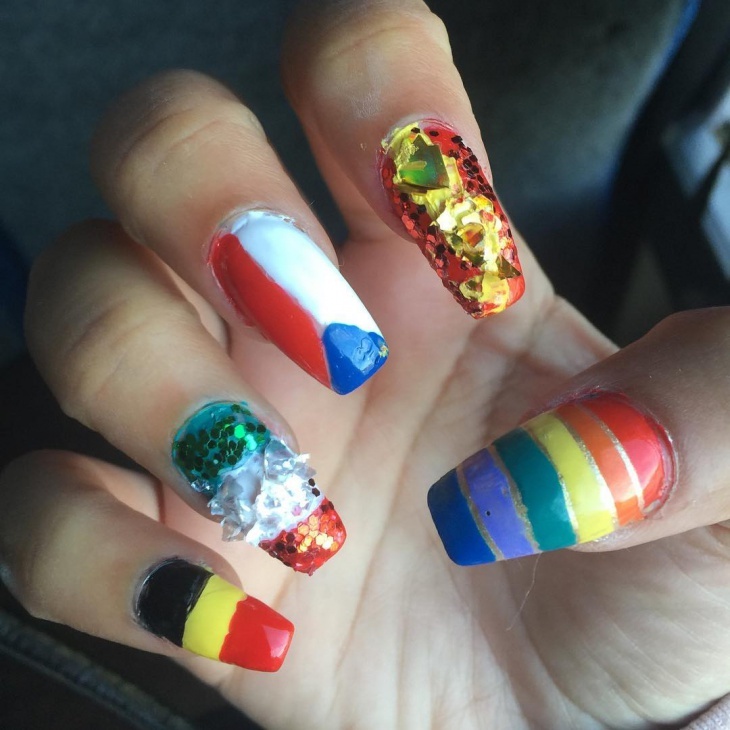 Instead of painting the ball why not show more creativity by opting for this unique football field nail design. 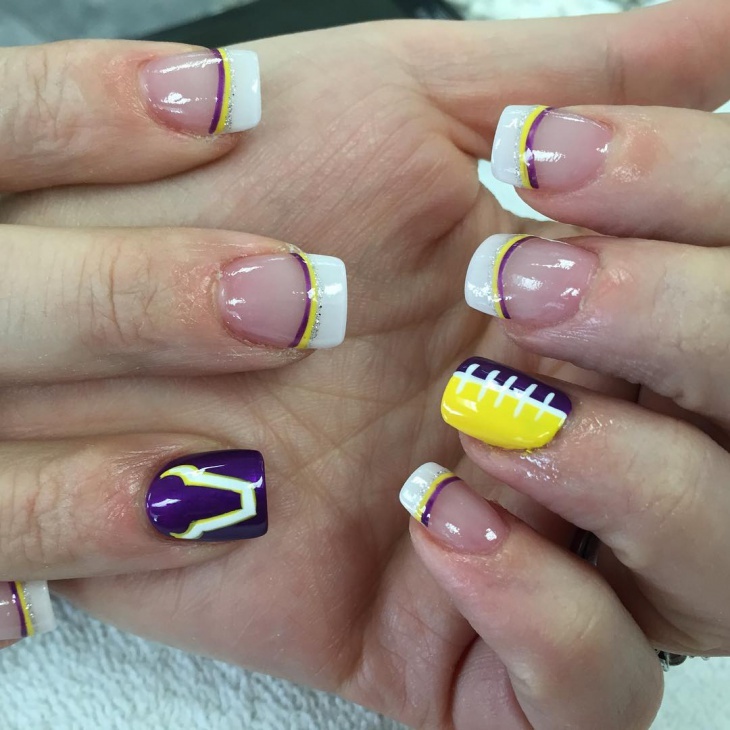 Whether you have Disney nails or beach nails, funny football nail out will make your fingers cool. 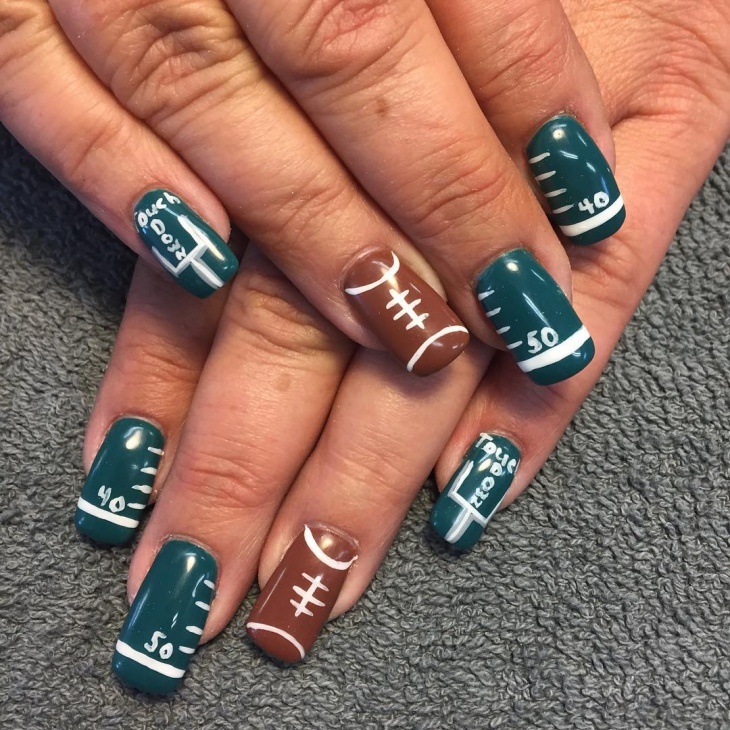 These French tip football nails are both elegant and chic. Opt to incorporate bright colors such as purple and yellow stripes on your design. Adding glitters to your nails is the best way to make them elegant and feminine. 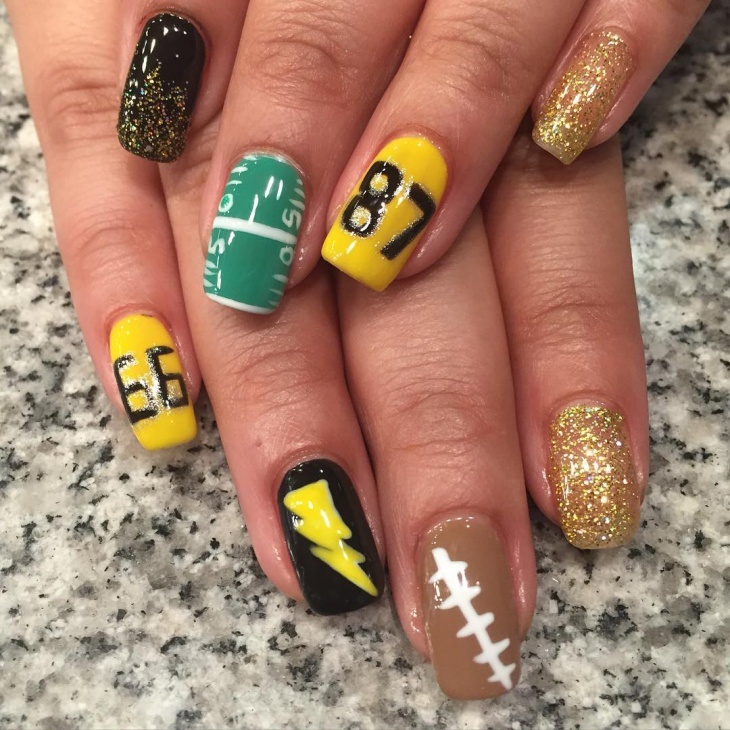 Instead of drawing the ball symbol opt to draw the jersey numbers of your favorite players and the field on a few of your nails. 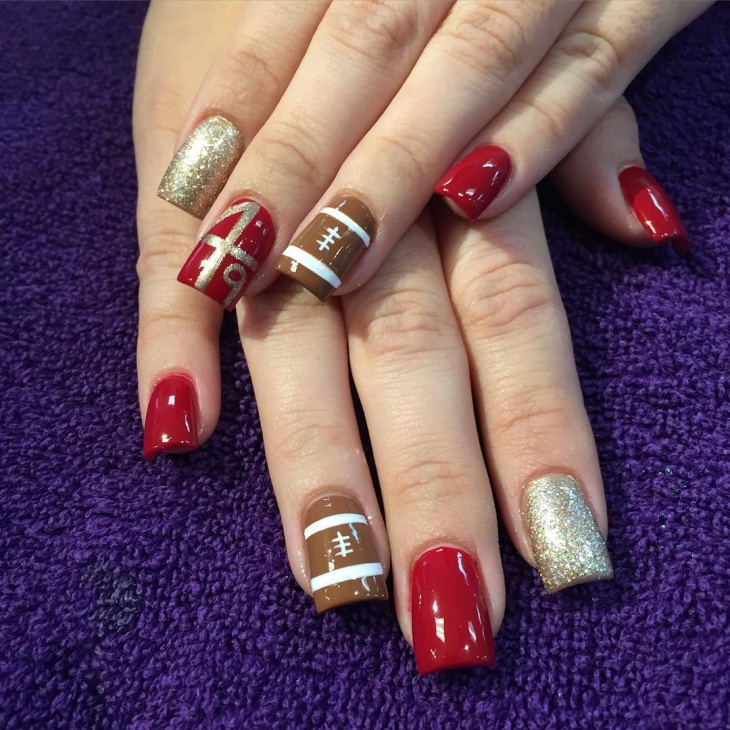 If San Francisco 49ers is your favorite football team then these football threads nail art will help you portray your love for this team. Opt for red nail polish to represent the jersey color and draw the logo to symbolize the team. 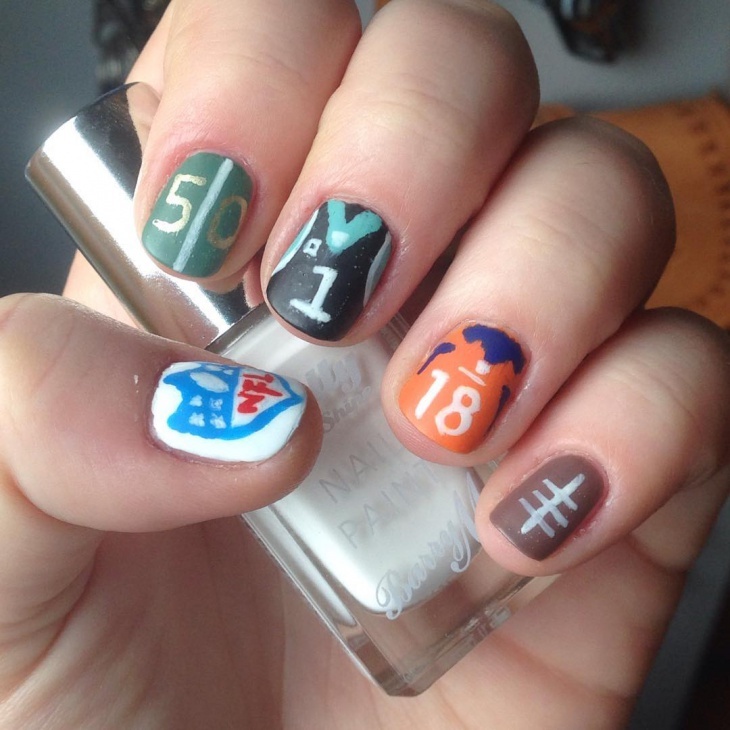 Drawing a brown ball on your nails is the best way to depict your team spirit. 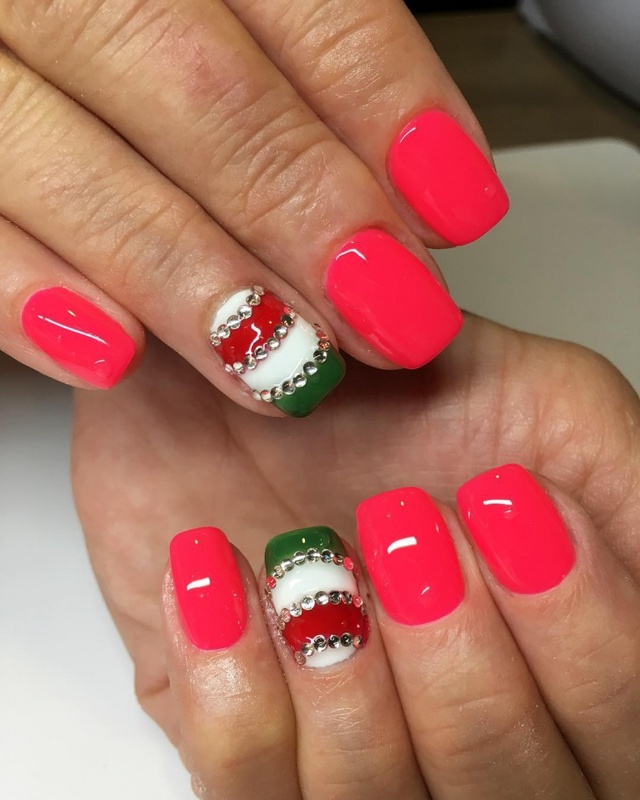 The red glitters on the tips of this manicure show elegance. Add a ball and the logo of your favorite football team to complete the design. 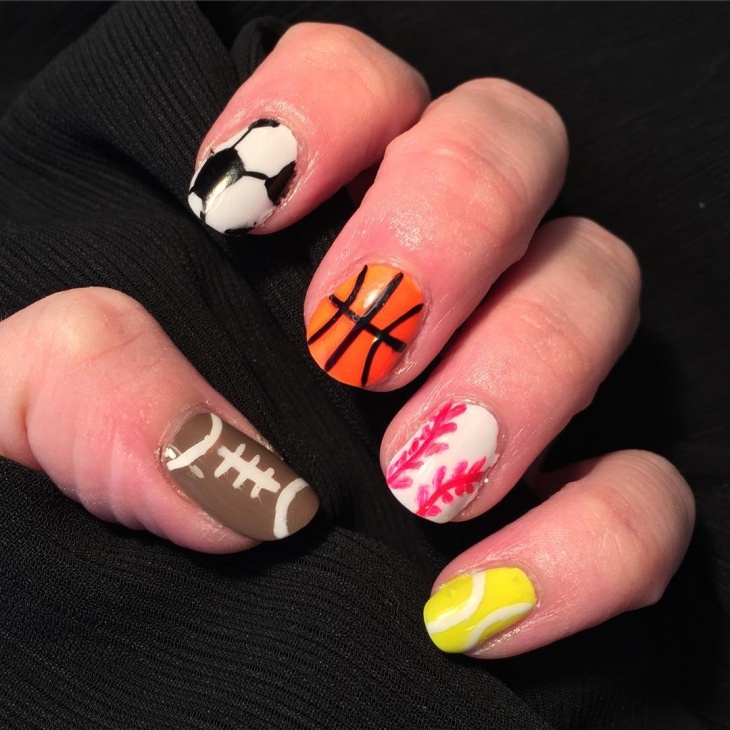 Ladies if you love to watch soccer with your male friends then these nails will help show your love for this game. Draw the ball symbol on one of your finger and paint the rest of your nails using a vibrant nail polish. 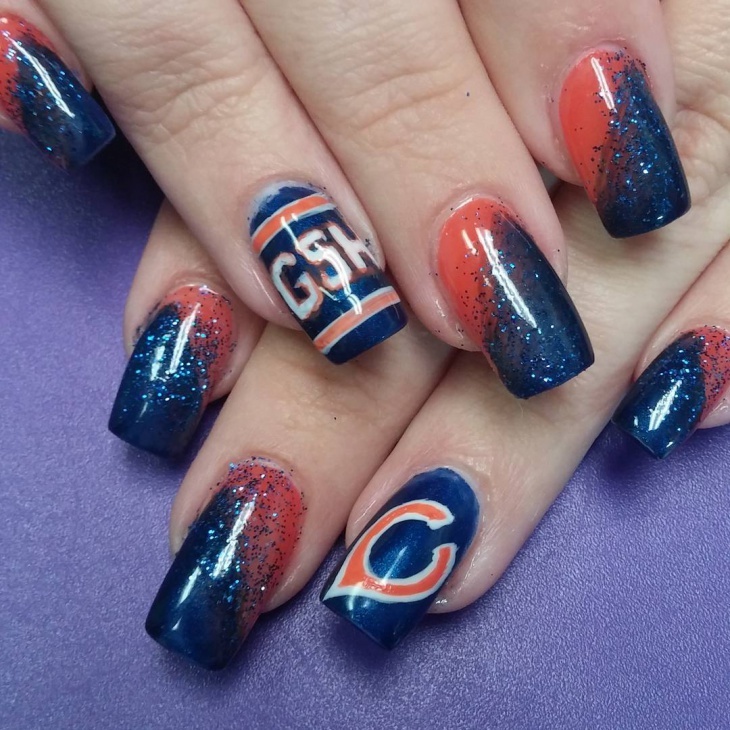 There are numerous ways to represent your favorite team. 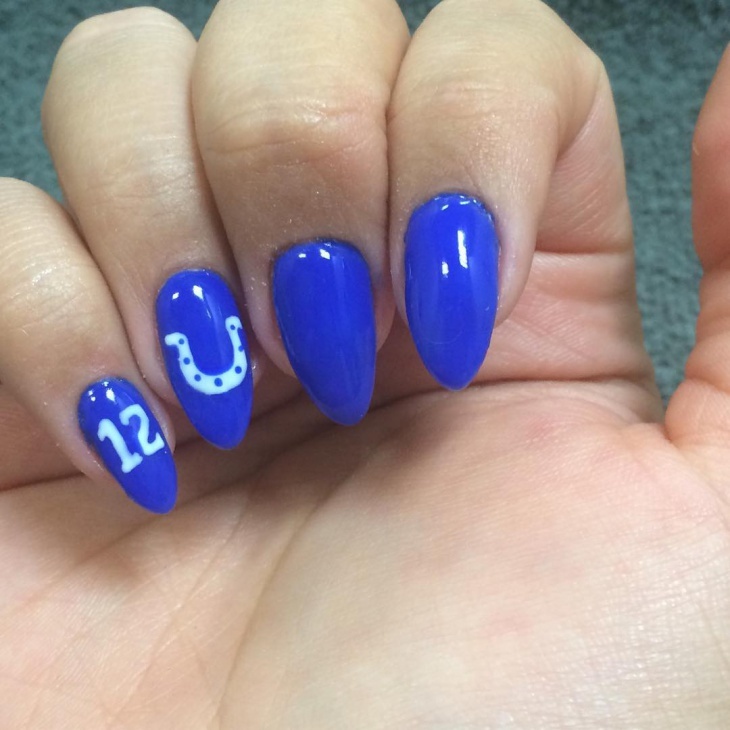 You can either draw the logo or apply a nail polish color that matches with your team’s jersey. 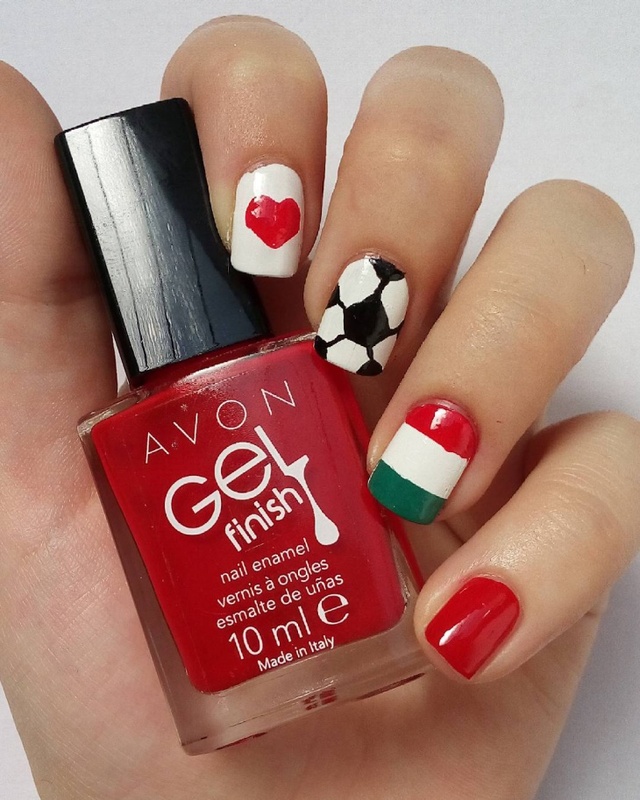 You can draw vertical and horizontal lines of the ball, paint a brown ball symbol or the green field on your nails. 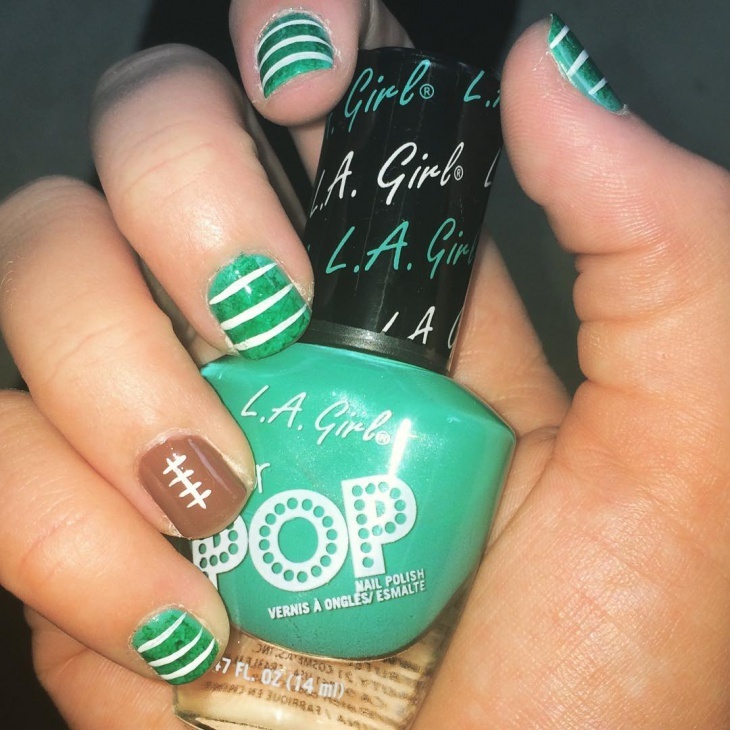 Paint two coats of green nail polish on all your fingers and using white nail polish draw football stitches on the center of the nail. 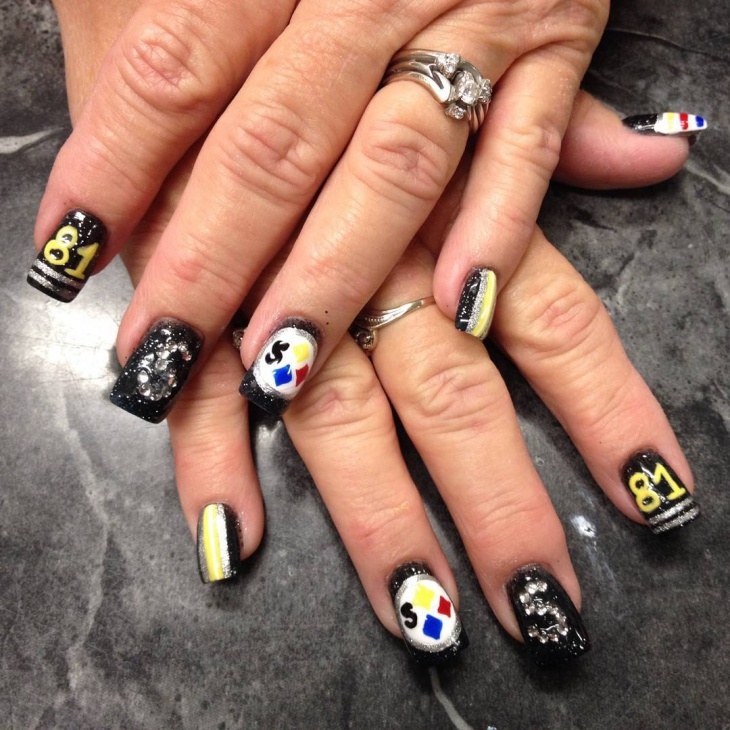 When everybody is talking about football, you can let your nail art do the talking for you. Get into the football spirit by opting to use one of these designs. If you’re looking for a dramatic effect, then draw ball symbols on all your fingers. You can also opt to add football stripes on your French tip nails.